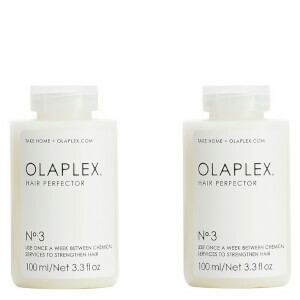 Repair, strengthen and protect your hair with the Olaplex Take Home Treatment Kit, a trio of treats that make up the brand’s transformative 3-4-5 system. Utilising exclusive Bond Building Chemistry, the products work in harmony to restore hydration, health and shine to locks for a salon-worthy finish. Free from sulphates. Never tested on animals. Strengthen and repair your locks with an at-home bond builder that utilises the same active ingredient found in all professional Olaplex products. Suitable for all hair types, the innovative formula works on a molecular level to revitalise and regenerate dry, damaged strands that have been broken due to chemical, thermal and mechanical effects. 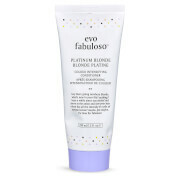 Ideal for weekly use in between salon services to maintain strong, healthy-looking hair. Strengthen hair with a bond-strengthening shampoo that forms part of the brand's 3-4-5 Bond Maintenance™ System. Formulated with OLAPLEX Bond Building Chemistry, the effective shampoo works to restore internal strength and moisture levels while gently cleansing and adding shine. Helping to reduce breakage and improve manageability, the reparative formula will strengthen and protect all hair types to leave locks looking stronger and more resilient. Complete your hair-strengthening regime with a bond-strengthening conditioner that forms part of the brand's 3-4-5 Bond Maintenance™ System. 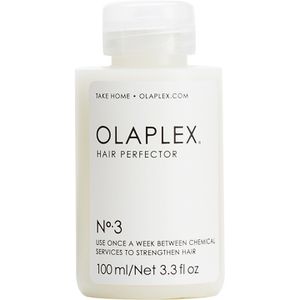 Formulated with OLAPLEX Bond Building Chemistry, the reparative treatment works to restore tresses and intensely hydrate without adding excess weight. 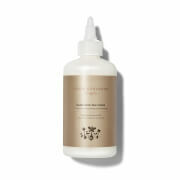 Strengthening and replenishing, the conditioner will help to eliminate damage and combat unruly frizz to leave locks looking stronger, healthier and shinier. Hair Perfector: Apply a generous amount to towel-dried hair, comb through and leave on for a minimum of 10 minutes or longer, then rinse, shampoo and condition. This is NOT a conditioning treatment to be left on the hair. The longer this is left on, the more effective it will be. This may be used more than once a week if necessary. Shampoo: Use every time you shampoo and after rinsing OLAPLEX No. 3 Hair Perfector from hair. Lather and rinse. Follow with OLAPLEX No. 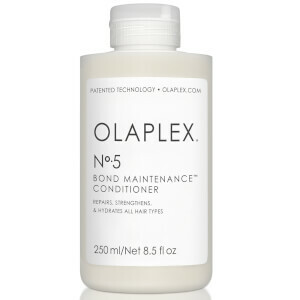 5 Bond maintenance Conditioner. For best results, use the 3-4-5 system at home! Conditioner: After using OLAPLEX No. 4 Bond Maintenance Shampoo, apply a generous amount from scalp to tip. Leave on for 3 minutes, then rinse. For best results, use the 3-4-5 system at home! 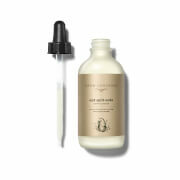 Hair Perfector: Water (Aqua), Bis-Aminopropyl Diglycol Dimaleate, Propylene Gly col, Cetearyl Alcohol, Behentrimonium M ethosulfate, Cetyl Alcohol, Phenoxyethanol, Glycerin, Hydroxyethyl Ethylcellulose, Stearamidopropyl Dimethylamine, Quaternium-91, Sodium Benzoate, Cetrimonium Meth osulfate, Cetrimonium Chloride, Fragrance (Parfum), P oly quaternium-37, Tetrasodium EDTA, Butylphenyl Methylpropional, E tidronic Acid, A scorbic Acid, Phytantr iol, Prunus Amygdalus Dulcis (Sweet Almond) Oil, Tocopheryl Ace tate, Aloe B arbadensis Leaf Juice, Panthenol, Simmondsia Chinensis (Jojoba) Seed Oil, Citric Acid, Potassium Sorbate. Shampoo: Water, Cetearyl Alcohol, PPG-3 Benzyl Ether Myristate, Caprylic/Capric Triglyceride, Cetyl Alcohol,Octyldodecyl Ricinoleate, Quaternium-91, Cetrimonium Chloride, Divinyldimethicone/Dimethicone Copolymer, Behentrimonium Chloride, Glycerin, Cetyl Esters, Isododecane, Bis-Aminopropyl Diglycol Dimaleate, Fragrance, Panthenol, Phospholipids, Dimethicone PEG-7 Isostearate, Pseudozyma Epicola/Argania Spinosa Kernel Oil Ferment Filtrate, Pseudozyma Epicola/Camellia Sinensis Seed Oil Ferment Extract Filtrate, Tocopheryl Linoleate/Oleate, Quaternium-95, Propanediol, Punica Granatum Extract, Morinda Citrifolia Fruit Extract, PEG-8, Euterpe Oleracea Fruit Extract, Camellia Sinensis Seed Oil, Crambe Abyssinica Seed Oil, Hydroxypropyl Cyclodextrin, Persea Gratissima (Avocado) Oil, Vitis Vinifera (Grape) Seed Oil, Disodium EDTA, Polysilicone-15, C11-15 Pareth-7, Hydroxypropyl Guar, Glycine Soja (Soybean) Oil, PEG-45M, PEG-7 Amodimethicone, Amodimethicone, C12-13 Pareth-23, C12-13 Pareth-3, Laureth-9, Pentaerythrityl Tetra-Di-T-Butyl Hydroxyhydrocinnamate, PEG-4, Phenoxyethanol, Hexyl Cinnamal. Conditioner: Water, Cetearyl Alcohol, PPG-3 Benzyl Ether Myristate, Caprylic/Capric Triglyceride, Cetyl Alcohol,Octyldodecyl Ricinoleate, Quaternium-91, Cetrimonium Chloride, Divinyldimethicone/Dimethicone Copolymer, Behentrimonium Chloride, Glycerin, Cetyl Esters, Isododecane, Bis-Aminopropyl Diglycol Dimaleate, Fragrance, Panthenol, Phospholipids, Dimethicone PEG-7 Isostearate, Pseudozyma Epicola/Argania Spinosa Kernel Oil Ferment Filtrate, Pseudozyma Epicola/Camellia Sinensis Seed Oil Ferment Extract Filtrate, Tocopheryl Linoleate/Oleate, Quaternium-95, Propanediol, Punica Granatum Extract, Morinda Citrifolia Fruit Extract, PEG-8, Euterpe Oleracea Fruit Extract, Camellia Sinensis Seed Oil, Crambe Abyssinica Seed Oil, Hydroxypropyl Cyclodextrin, Persea Gratissima (Avocado) Oil, Vitis Vinifera (Grape) Seed Oil, Disodium EDTA, Polysilicone-15, C11-15 Pareth-7, Hydroxypropyl Guar, Glycine Soja (Soybean) Oil, PEG-45M, PEG-7 Amodimethicone, Amodimethicone, C12-13 Pareth-23, C12-13 Pareth-3, Laureth-9, Pentaerythrityl Tetra-Di-T-Butyl Hydroxyhydrocinnamate, PEG-4, Phenoxyethanol, Hexyl Cinnamal. My hair was a terrible mess after 2 weeks in the surf and chemical damage from bleaching but olaplex has brought my hair back to life. Highly recommend. I have baby fine very sensitve curly hair that never grows due to breakage. When its damaged, which is really easily it loses its bounce and curl, snaps tangles and frizzes. Olaplex changes that completely! Worth every cent!